My laptop is back. Thank the techy gods for buyer’s protection plans. They replaced the screen and it’s as good as new now. So, back to things like Lunchtime Links! Tomorrow is the annual Letter Carrier’s Food Drive, better known now as Stamp Out Hunger. On Saturday, May 10th, leave a plastic bag with canned and nonperishable food next to your mailbox . Your letter carrier will donate it to a local food bank. If you don’t get mail delivery and still want to contribute, check out this list to find a food bank near you. Does anyone see flyers for this in your own area? I never see anything here. I only know of this event because of social media and I go to my local post office nearly every day. Maybe I’m not aware since I don’t get home delivery? This isn’t news around these parts (meaning this part here of the blogosphere). We know that the need for food banks has increased. Eating healthy is really not something that some poor people CAN do. Meanwhile,I can present studies and personal narratives every damn day ,all day long and I will still hear some people blame poor people for unhealthy eating “choices” ( saying choice implies there is more than one option) , fat-shaming poor people ignoring the “obesity-poverty paradox” and of course, saying poor people aren’t trying hard enough to do for themselves. On the issue of “concern trolls” (people who raise “concerns” or non-helpful solutions about the things people do or act supposedly out of interest for the good of the people or cause at hand but who actually are working AGAINST what or who they claim to be advocating for, often ignoring the personal narratives and voices of people with the most experience )…. when it comes to the health and nutrition issues, weight is not the primary concern they need to be thinking about. From my perspective, brain health is the most important. Low income kids who don’t get the right food or enough of it can’t excel in school and tend to have more behavior problems. Obviously, the same is true for adults. Who can function well at a job when they’re hungry? Being hungry and not getting the right nutrition can literally make you pretty loopy and affect the way your brain works. Hangry is a real thing. This is a great list of recipes from Whole New Mom. Missing here is this thing my step-daughter makes (regional cuisine of Panama, where the step-kids grew up). Next time we Skype with her, I will ask her for the recipe.I tried to make it from memory but it wasn’t quite the same. Previous Previous post: Kevin Durant talks about his mom during MVP speech. 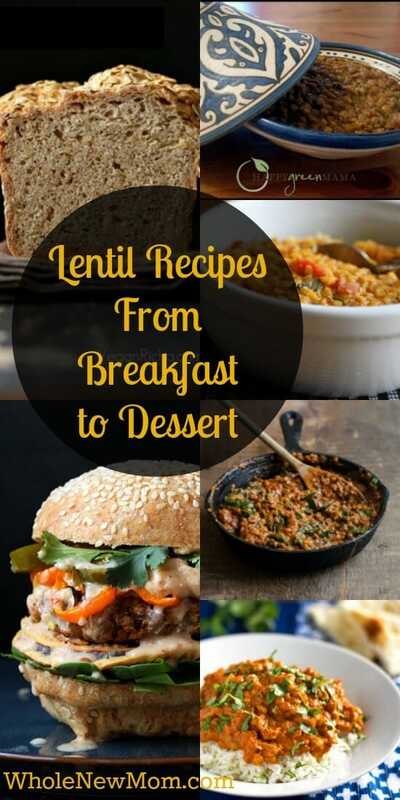 Thanks for the lentil recipes. Can’t wait to try them. Donation to food bank already picked up by the letter carrier. Hope it is some small help. My best to you and your family.